You’ve heard the big news by now. Fox is expanding their presence in the world of sports, and FOX Sports 1 launches this weekend, anchored by a super-charged dose of UFC action. Not only is the card free, it’s loaded with big names and exciting fighters to make the biggest splash possible. Before you search your channel guide to figure out where FOX Sports 1 is located, here’s some hard stats and facts…140 characters or less for your chirping pleasure. Hardest Hitters by Total Knockdowns Scored: Shogun Rua & Matt Brown-6, Johnson-5, McDonald & OSP-4. Hardest Hitters by Knockdown Rate: Pyle & McDonald-10%, Browne & OSP-9%, Rua, Howard & Brandao-8%. Highest Significant Strike Accuracy: Overeem-62%, McGregor-60%, OSP, Hall & Matt Brown-57%. Most Likely to Attempt Takedowns: Gamburyan averages 3.9 attempts per 5-minute round. Highest Takedown Defense (>10 atts): Overeem-88%, Holloway-86%. Honorable mention to Browne who defended all 6 attempts to date. Longest Reach: Overeem & Hall-80”, OSP-79”, Browne-78”. Oldest Fighters: Mike Brown & Mike Pyle both turn 38 next month. Youngest Fighter: Max Holloway, who is 21 years old. Most Accurate Power Head Strikers: McGregor-57% (small sample), Matt Brown-38%, Overeem-37%. 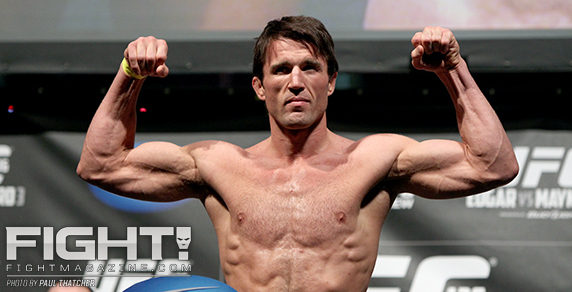 Best Head Striking Defense: Chael Sonnen avoids 81% of head strikes by opponents. Holloway & McGregor-79%. Best Cage Control: Yuri Alcantara, who when standing, outworks his opponents by throwing 80% more total strikes. 5 fighters will come out in a Southpaw stance: Sonnen, Alcantara, Johnson, McGregor, and St. Preux. Max Holloway has yet to attempt a single submission in 58 minutes inside the Octagon. Max Holloway & Conor McGregor currently have the highest average significant strike attempt pace of all fighters. The biggest betting favorite on the main card is Uriah Hall over John Howard at -515. When fighting on the ground, Chael Sonnen has been in a position of control for 95% of those minutes. That same stat for Rua is only 44%. Sonnen has a pace and defense advantage in striker over Rua, but Shogun is the more accurate & powerful striker in all categories. In Conor McGregor’s UFC debut, he & Marcus Brimage combined for 71 attempted strikes in just 67 seconds of fight time. Both #5 ranked Alistair Overeem and #8 ranked Travis Browne suffered upset TKO’s to Antonio Bigfoot Silva, currently ranked #4. Overeem has more accurate striking than Browne, but Browne has a higher knockdown rate, higher pace, and better defense. Joe Lauzon has attempted 24 submissions in the UFC. He finished 7 of those, winning SOTN 5 times. Chael Sonnen spends 69% of his fight minutes on the ground. Rua’s takedown defense is only 34%.